It seems odd that I’ve never done a post specifically on the Shinkansen before. One reason is that I didn’t have ANY pictures despite having used the Shinkansen many times since first visiting Japan in 2011. 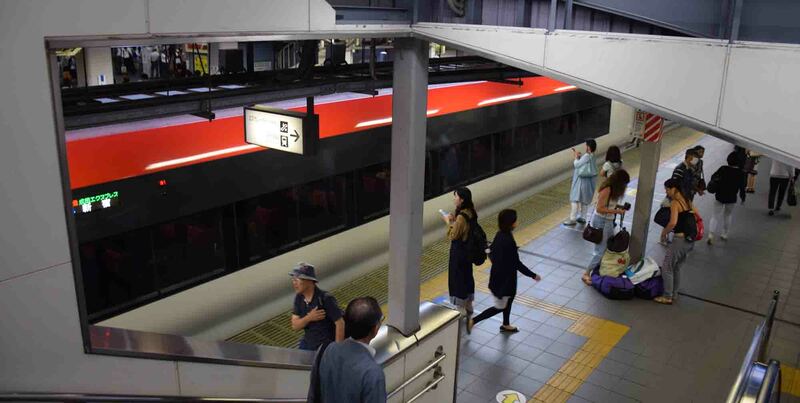 So today’s Train Journeys is going to look at this Japanese marvel of modern technology getting you from A to B in the blink of an eye. 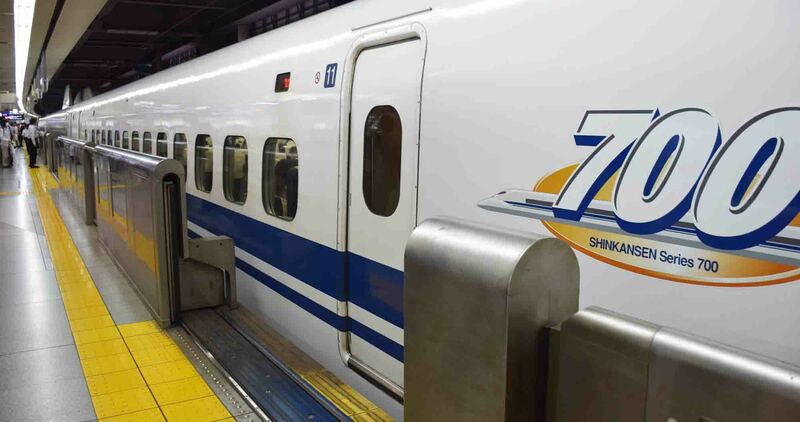 For those heading to Japan, you can’t do better than to take Shinkansens around the country. The speed, comfort and the fact that they pop you usually in the centre of town makes them a dream to ride. And every ride is an experience. However, they are very expensive. 11500 Yen perhaps for an hour-long journey. That would be around $100US at a guess. And the faster the train goes, the more expensive it gets. There are a few Shinkansen models. Last time in Japan I went from Tokyo to Nagoya and Nagoya to Yokohama via the Nozomi Shinkansen. It’s fast, one of the fastest, capable of hitting 300kmph. Unlike the trains it Europe, it won’t tell you how fast you are going. However, with speed and regular services throughout the day, the Shinkansen experience is brilliant. 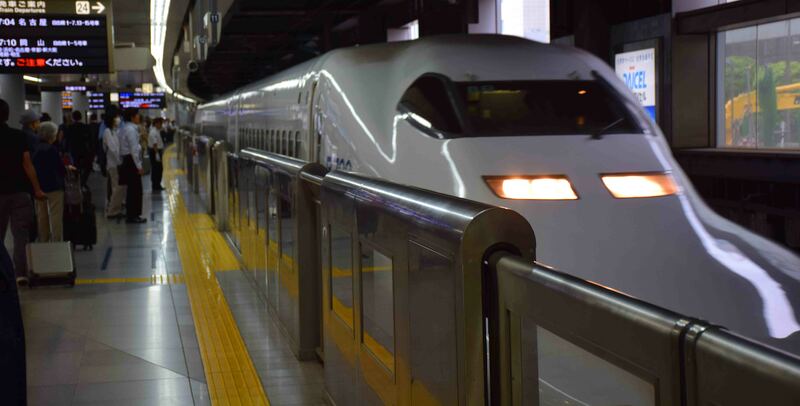 And as the originators of the bullet train, the Japanese have made the experience top notch. Shinkansen late? I’m sure it’s happened, but it’s just so rare. I never caught a late Shinkansen. The toilets are always clean too, there’s a good deal of legroom (which the Eurostar definitely DIDN’T have) and the ride is smooth too. I pretty much slept half the two trips I had last time because it’s really easy to sleep on the Shinkansen. Taking a long distance Shinkansen is great because you get to see so much of the Japanese countryside. And then the cities too as you pass through. The temperature is well regulated as well. The only problem is the price. Luckily there is a solution (of sorts) to that, and that is the Japan Rail Pass. Best organized before you enter Japan, for around $500 you can get a pass which will cover you for a period of 2 weeks. You can get one for more for 3 weeks, and less for one. If you plan your journeys in advance you can really save a packet. For food, you need to organise something in advance probably. 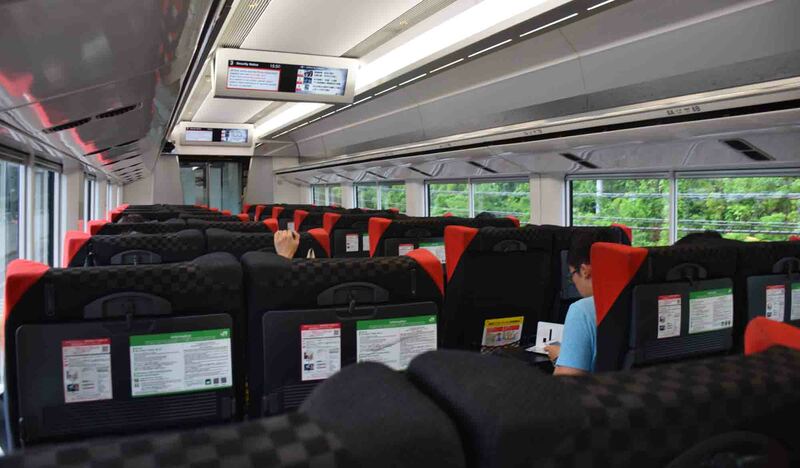 There are retractable trays from the seat in front of you for your convenience and on some Shinkansens you’ll be able to charge phones and other devices. You won’t sadly, find a restaurant car but someone will come down the aisle from time to time with a trolley of snacks announcing themselves as they enter and leave the carriage. It’s not useable on every Shinkansen. But it is for most. The example fare used earlier is a pretty short trip all said. So keep that in mind should you just happen to been reading this with a trip to Japan in mind! 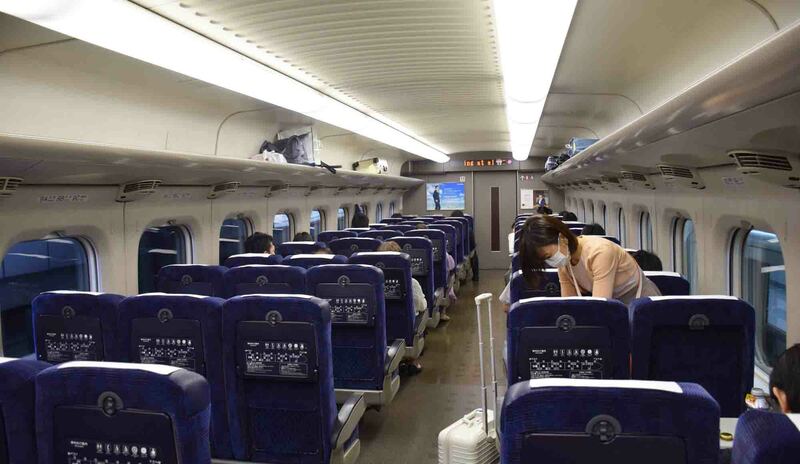 All in all, the Shinkansen is THE way to travel around Japan in my books. 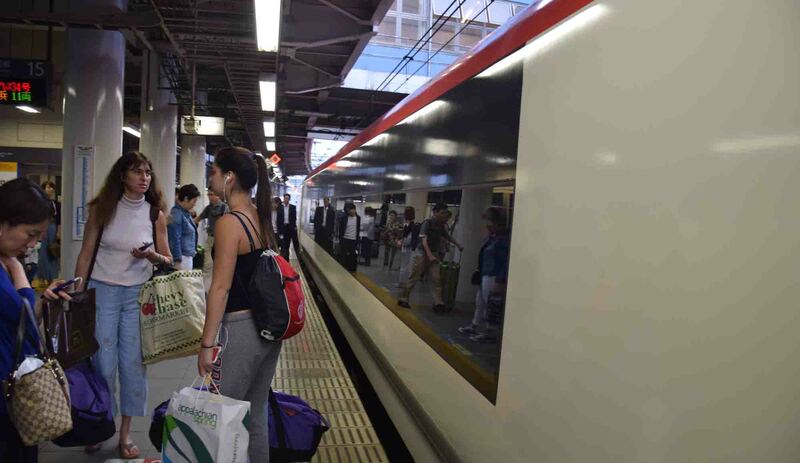 You’ll connect to local trains from time to time too (and the Japan Rail Pass is good for all of those, and even JR buses and the occasional ferry) and as the country is well connected everywhere by rail, you’ll find there are few places you can’t go with the pass. They’ve even done a tunnel from the island of Honshu to Hokkaido. So for fast, efficient and even at times pleasant travel in a country that pretty much pioneered high-speed rail, you cannot go past the Shinkansen! Thanks for reading today, and May the Journey Never End! 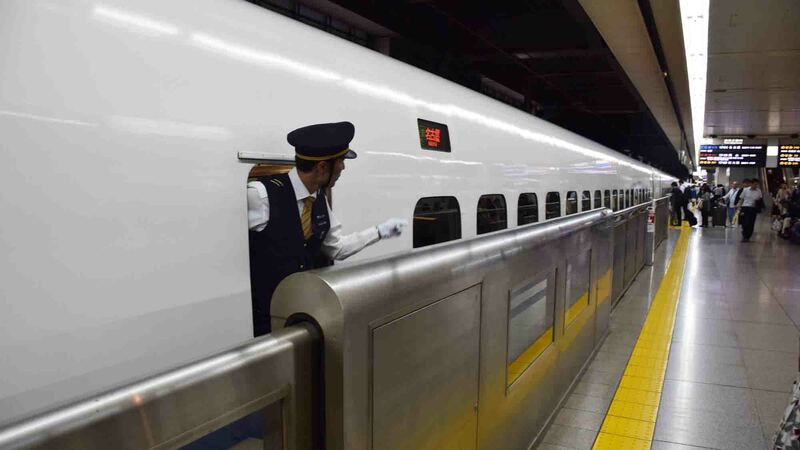 yeah the whole world would be so much more accessible with a Shinkansen on hand! 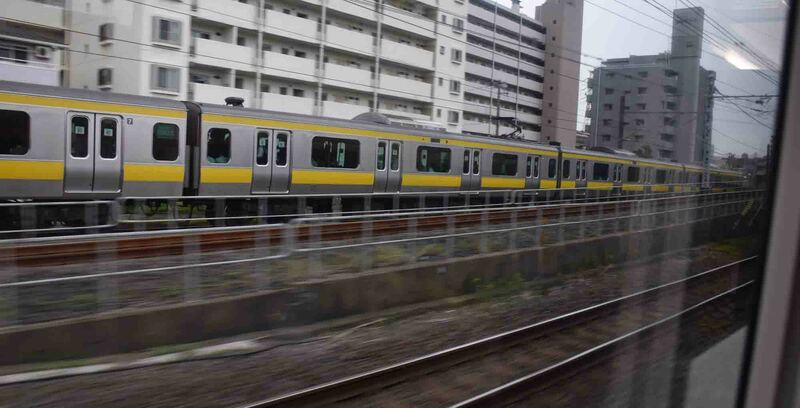 i photographed the skinkansen the day i arrived in japan this time – i was on a mission! Thanks for commenting!